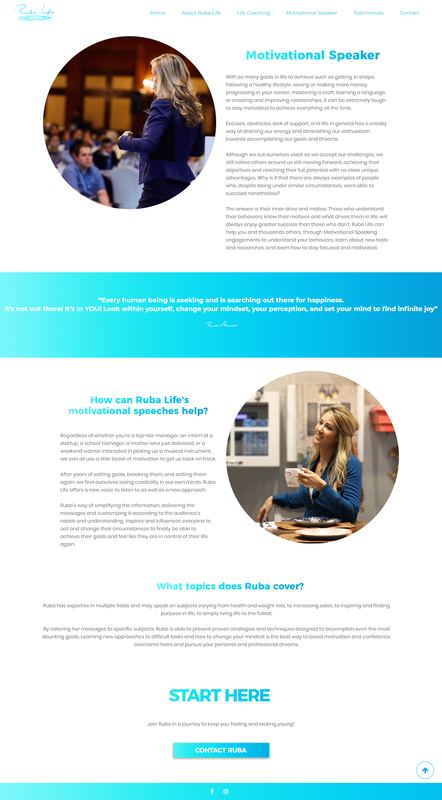 Ruba Life is a life coach and motivational speaker focused on the mental development and wealthness of her clients. Prior to our work, Ruba had no branding assets. She came to V7 Digital with a complete blank slate from which we built up her website with a complete user journey and brand-abiding user interface, a logo, business cards and created all the content for her website. The overall result was a success – a simple informational, yet clean and modern-looking website that covers all of her services and speaks volumes of her own story and how she became a life coach. We worked with her extensively to ensure that the tone of voice, imagery and website content reflected her personality and work as a life coach.